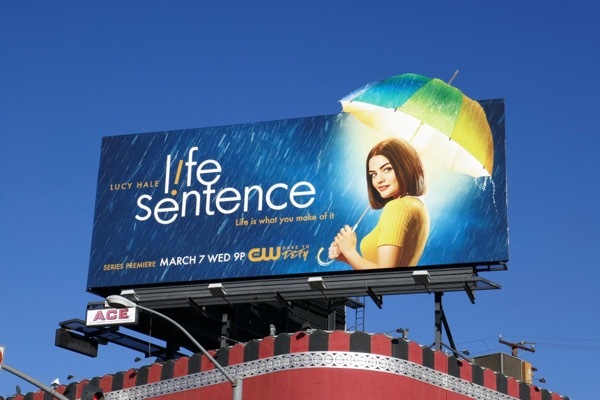 With all the gloomy weather and news of late this billboard for Lucy Hale's new comedy-drama on The CW is a like a ray of shining light. 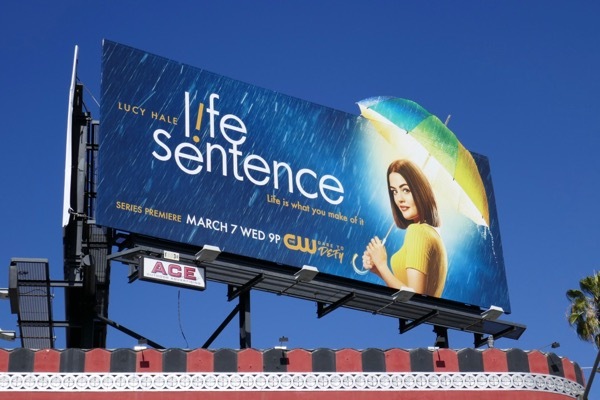 In the new series Life Sentence, 23-year-old 'Stella Abbott' finds out her terminal cancer has been cured and now she and her family must learn to live with the choices they made when they thought she was going to die young. 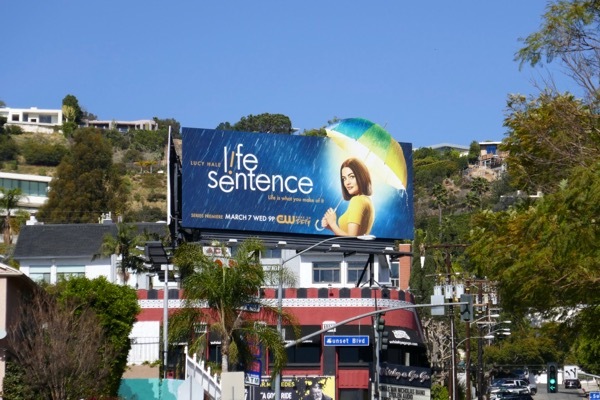 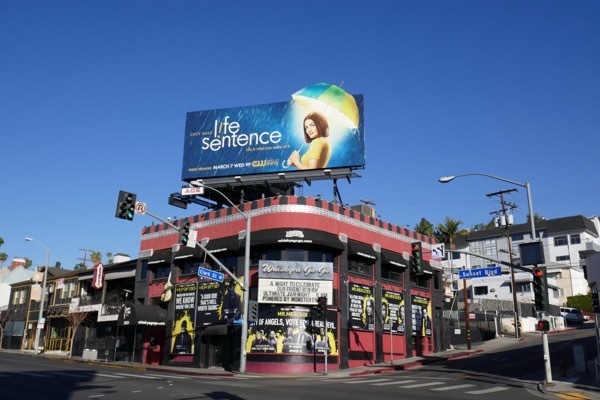 This joyful special extension umbrella cut-out billboard for Life Sentence was snapped above Whisky A Go-Go along the Sunset Strip on February 20, 2018. 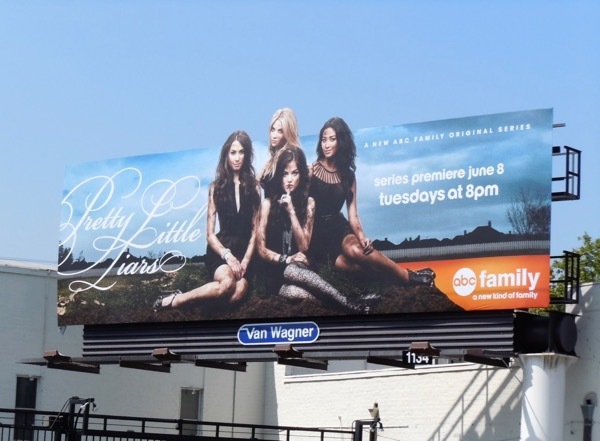 Meanwhile as a special bonus here's also the launch billboard for Pretty Little Liars, in which she starred for seven seasons, photographed along Beverly Boulevard on May 14, 2010. 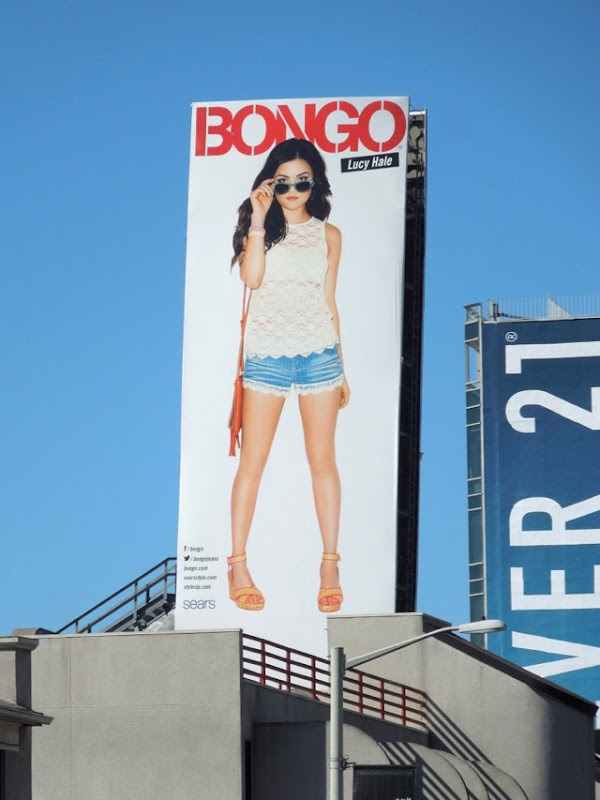 Plus in addition here's a billboard featuring Lucy Hale for Bongo clothing spotted above West Hollywood's Sunset Strip on April 17, 2013. 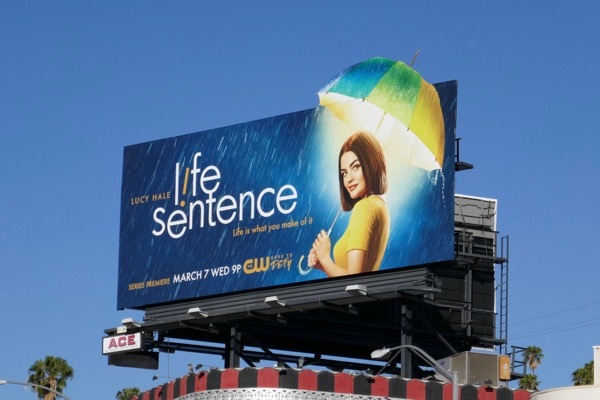 Now can anyone tell Daily Billboard where to get one of those sunbeam umbrellas, as the weather forecast for L.A. this week is rain.